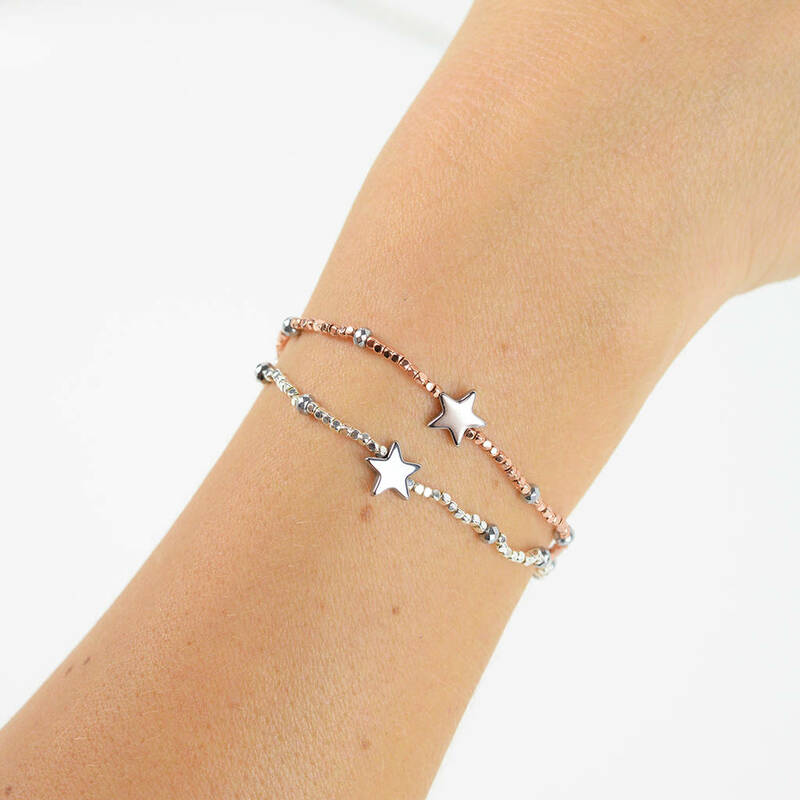 Pretty bracelets, perfect for stacking and the layered look. 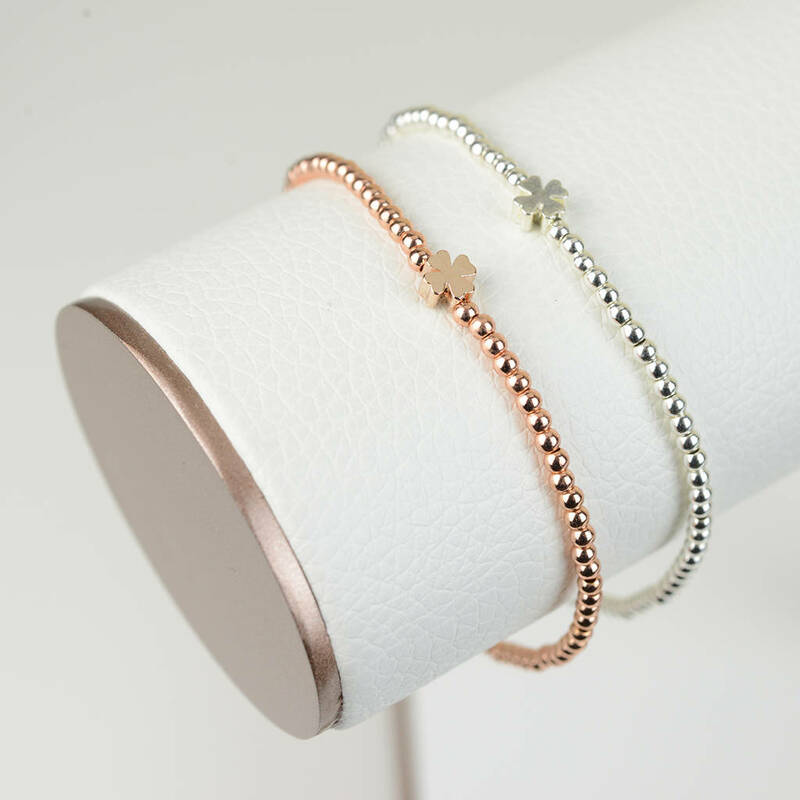 Delicate bracelets, perfect for layering and stacking with other jewellery. 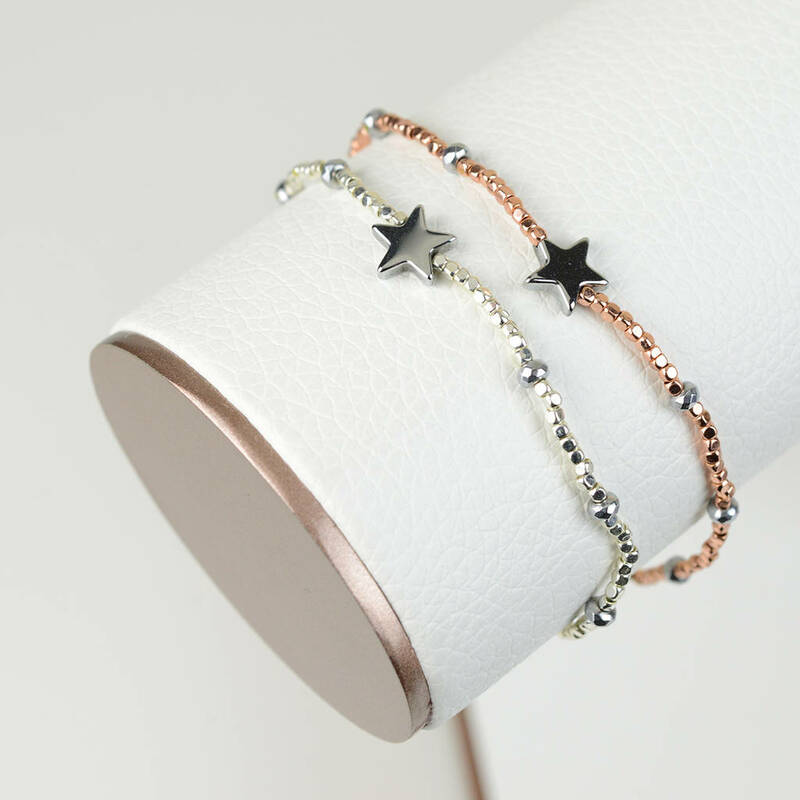 Designs available - star, clover and beaded. 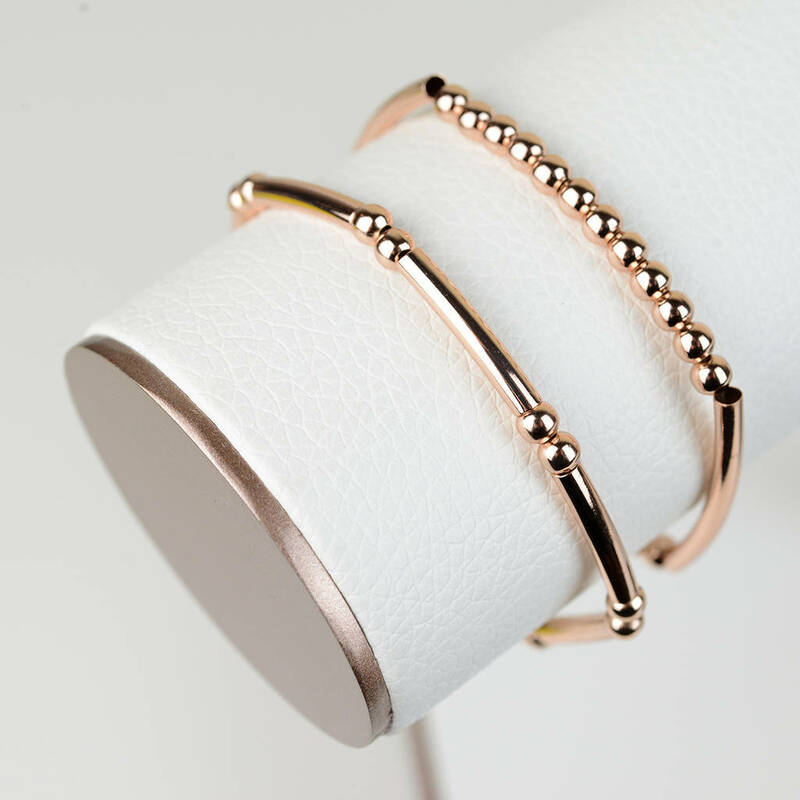 Rose gold plated or silver plated. 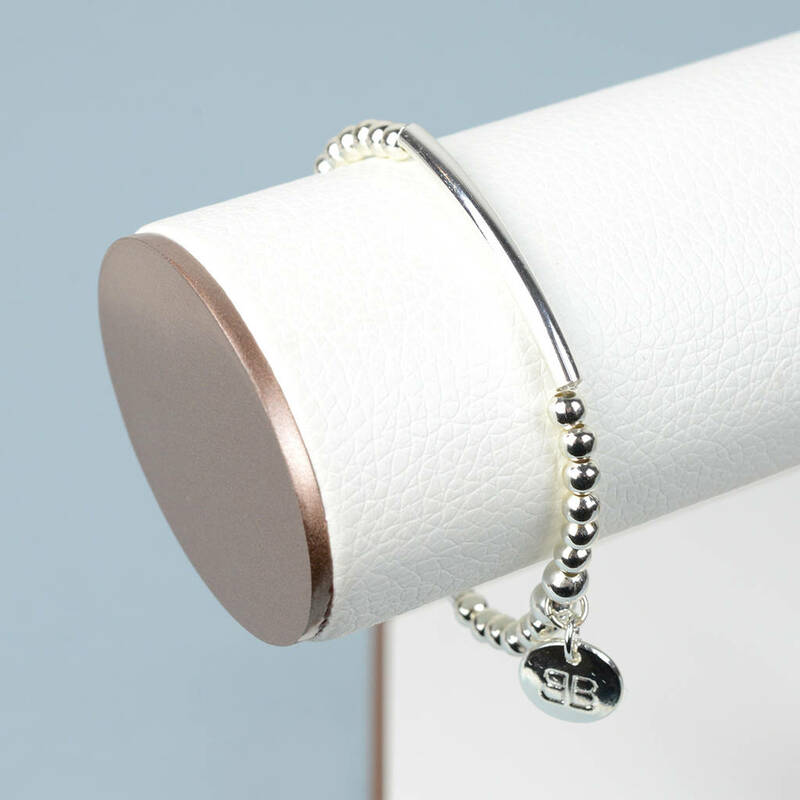 We have a charms to personalise your bracelet - Hamsa hand, peace and a star, all 925 sterling silver. Presented in a organza pouch. 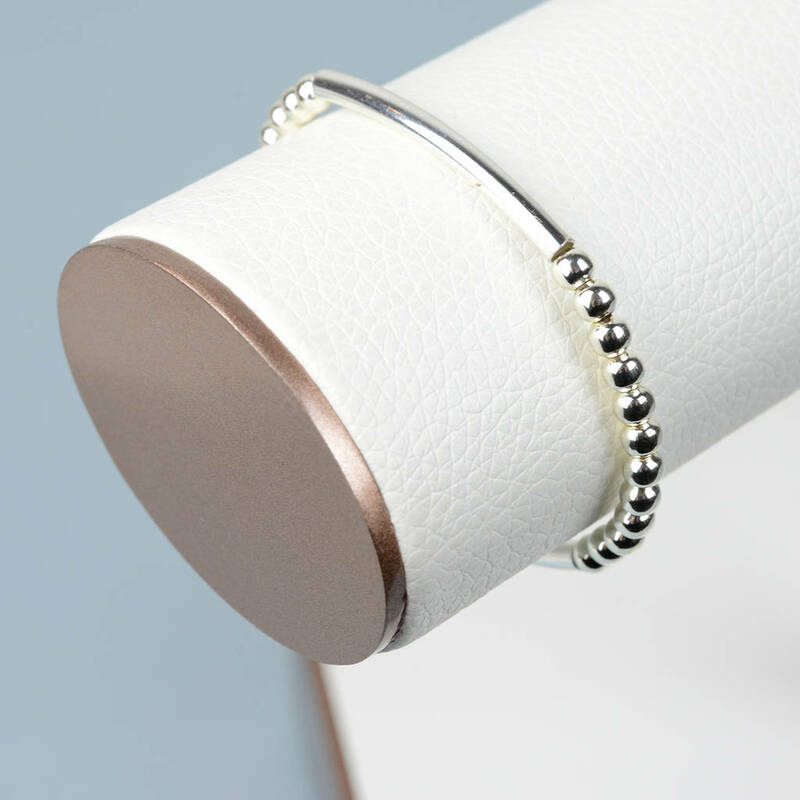 Stretch, one size fits all. 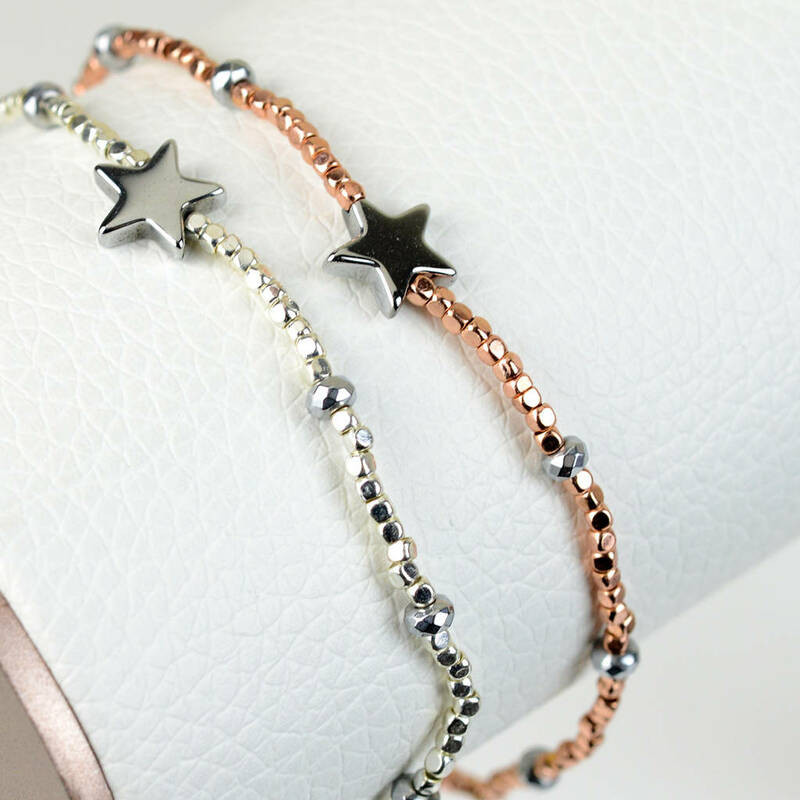 Price per one bracelet. Beaded - Design 1 left - in image, multiple sphere bead & multiple bar beads . Design 2 - right in image, multiple sphere beads with 2 bar beads.